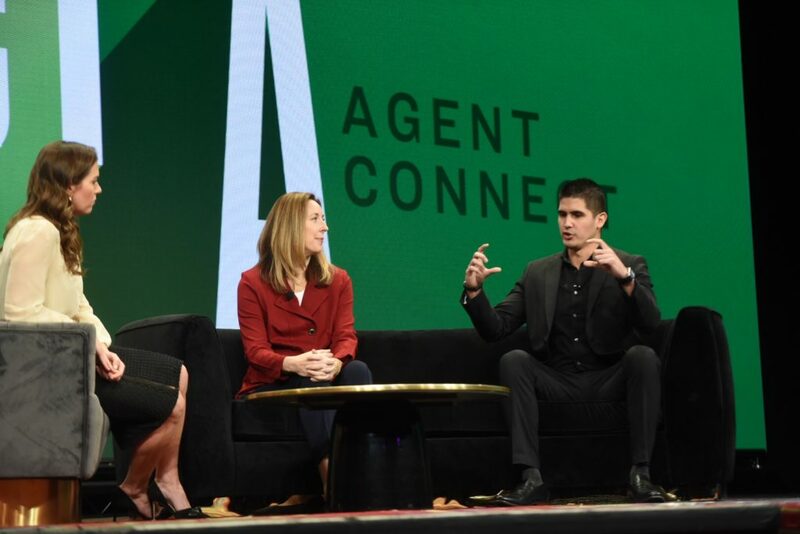 Nextdoor CEO Sarah Friar offered agents advice on how to use her company’s neighborhood-based social network to generate leads on the main stage at the Inman Connect 2019 conference in New York on Wednesday. Social media is going through it’s own “mini nightmare,” according to Friar, who joined the company two months ago from red hot payments startup Square. Now she’s hoping her new platform, which was founded in 2011, is able to restore the public’s trust in social media. “How do we get people from online….but get them offline and bring the humanity back into the world, where we’re not stuck behind a screen, where we’re meeting each other in person?” Friar asked. Nextdoor has an online advertising product for real estate agents known as “neighborhood sponsorships,” in which agents can pay to have their face and information appear to users in the real estate section of a given neighborhood on Nextdoor’s app and website. The company recently raised prices on its neighborhood sponsorships, drawing criticism from some agents, who told Inman that they’ve struggled with using their Nextdoor sponsorships to generate leads. Friar offered the crowd of real estate professionals some tips on how best to use the platform to market yourself as essentially a local business owner. “So much of marketing is about building your reputation, that you truly become that trusted advisor in your neighborhood,” Friar said. She said she’s seen successful local business owners on Nextdoor only going in for the hard sell 30 percent of the time, and the other 70 percent of the time sharing interesting content with users. For real estate agents, that means helping get the message out about the community. The real estate agent that works in her neighborhood, who Friar affectionately called “Colleen,” despite not knowing her at all, posts tips like reminding her California neighbors to clear away dead wood before wildfire season and even offers advice on who to hire locally. “There’s no faster way to get thrown out of a neighborhood doing that,” Kossev said.